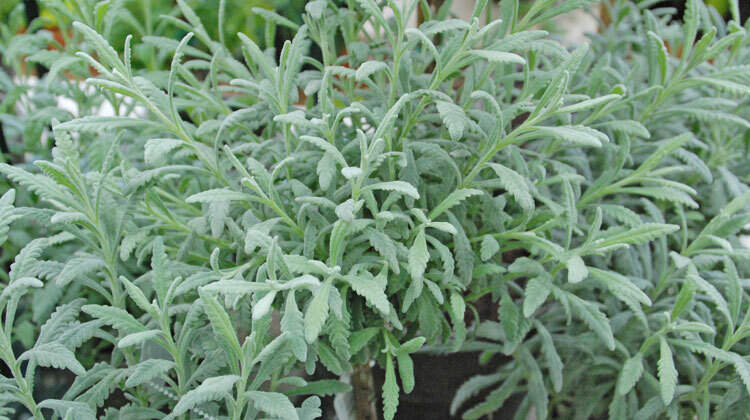 Add a bit of fragrance to your indoor garden with lavender. This sun loving herb grows and flowers best outdoors, but you can keep it healthy and enjoy the relaxing fragrance with a bit of effort. Grow your lavender in a south-facing or other sunny window. Supplement low light indoor locations with an artificial light. Find a cool spot in your home away from drafts of hot and cold air. The cooler air increases your indoor growing success. Water thoroughly when the top inch of soil is dry to the touch. Pour off any excess water that collects in the saucer. Keep your lavender in a container just slightly larger than the root ball. Moving it to a much larger pot increases the moisture held in the soil that can lead to root rot. Good news – even if the plant dies it still smells great. A bit more information: Harvest fragrant sprigs of lavender, tie into a bundle and hang upside down to dry. Include the fragrant leaves in sachets or tie a few sprigs with a bow and add a bit of fragrant to your gift wrap. The recipients will appreciate the relaxing fragrance during the hectic holiday season.